Search(.)xfinity(. )com reportedly serves as the main page of a browser hijacker. The PUP is said to overload the infected PCs with a huge amount of ads. Additionally, the malicious program could collect different types of personal information. The page is associated with a company known as Xfinity, a subsidiary of Comcast Interactive Media which is the digital media division of Comcast Corporation. In this article, you’ll find information on what the browser hijacker does and how you can remove it. Search(.)Xfinity(. )Com – How Did I Get Infected? Add Constant Guard Toolbar as a helpful tool to protect you online. 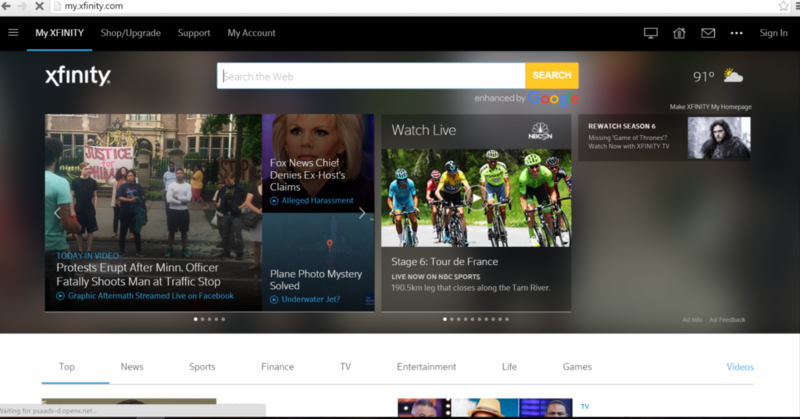 Add Xfinity tv to help with your online multimedia experience. If you see this text while installing, be sure to opt-out of such option. They can be found easily by reading the EULA agreement of the software or in the Custom or Advanced installation options. When the hijacker gets into your system, your browser’s homepage might be set to Search(.)xfinity(.)com. That can happen to Google Chrome, Microsoft Edge, and Mozilla Firefox, among others. Your new tab page could also be switched. 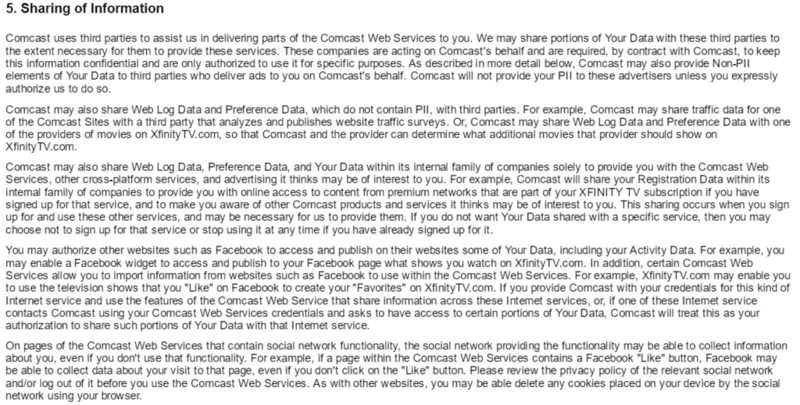 Search(.)xfinity(. )com collects a ridiculous amount of cookies (small files containing user information), about 49, which is very rare. These cookies go through a huge amount of third parties. Coupled with the fact that the site isn’t encrypted poses a serious risk of personal data theft. It’s unknown where this personal data may end up, but chances are it’s nowhere good. Information like that is usually collected so it can be used for targeted ads, Its best not to give it to them by removing the hijacker. As we’ve established, the Search(.)xfinity(. )com hijacker does little good to your system, and the best course of action might be to delete it completely. We’ve made a guide that can help you with that. Just follow the steps and you’ll be able to remove it. If, however, you lack the necessary tech-savviness, it might be best to download a malware scanning program, which will make clearing your system from browser hijackers and other malicious software much easier.